The Washington Nationals hosts the annual Winterfest in Washington, D.C. to allow fans to celebrate the team during the off-season. This year, the weekend-long festival is happening at Nationals Park. 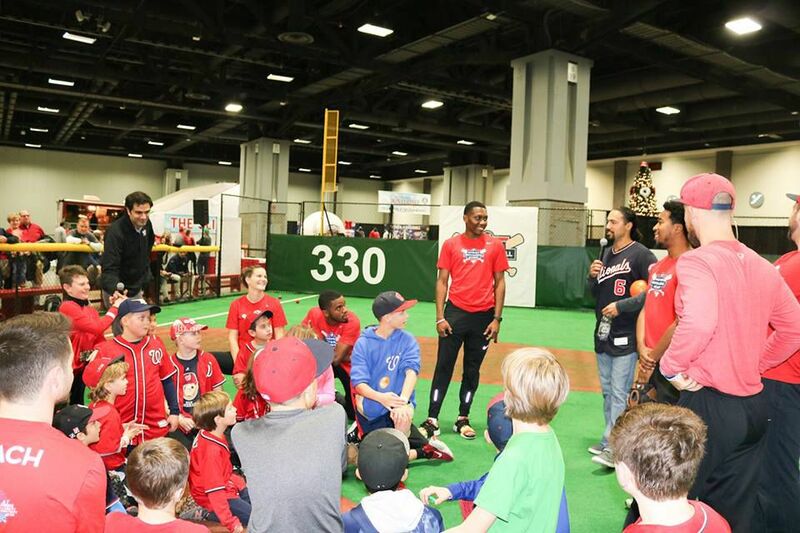 Fans, Nationals players, coaches and team personnel all attend the festival, which offers a fun-filled day featuring a variety of activities including live batting cages, exclusive Q&A sessions, a Kids Zone, interactive games and much more. Autograph vouchers will be available in early December on a first come first served basis. Winterfest is a fundraiser for the Washington Nationals Dream Foundation, a charitable organization committed to improving the lives of children and teens in the Washington, D.C. region by supporting initiatives focused on academics, the arts, nutrition and sports. Date and Time: Saturday, December 1 and Sunday, December 2 from 10 a.m. to 4 p.m. for season ticket holders and 11:30 a.m. to 4 p.m. for the general public. Location: Nationals Park, 1500 South Capitol Street, SE, Washington, DC. See a map and directions to Nationals Park. The Washington Nationals Foundation was established in 2005 and re-launched as the Washington Nationals Dream Foundation in 2007 under new team owners, the Lerner family and partners. The Dream Foundation is a 501(c)3 charitable organization, tax ID number 34-2034830. Contributions to this organization are deductible under section 170 of the Internal Revenue Code. You may make a donation online at washington.nationals.mlb.com/was/community/dreamfoundation/give. The Shops at National Place in Washington, D.C.